When it comes time to service CNC tooling, we carry the CNC accessories and parts to get the job done. Choose from a great selection by Southeast Tool, Wiha and our own Carbide Processors brand all below retail price. Whether it's CNC repair time or you just need to pick up some additional CNC tooling accessories we've got you covered. Looking for CNC tool holder storage solutions? See our huge new Cutting Tool Storage section. BT, HSK, ISO Tool holders, arbors and pull studs. ER collets and tool extenders, TG, Heian, SYOZ, all Shoda styles. 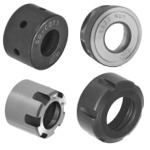 Collet nuts and collet nut dust shields for ER, SYOZ, Shoda and more. 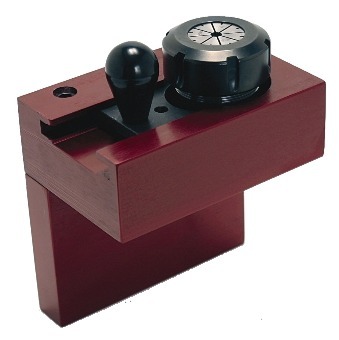 For ISO, HSK63 and BT30 tool holders. Attach directly to bench or CNC. CNC specific torque wrenches and accessories including collet nut adapters, pull stud sockets and fixed square drive adapters for use with standard sockets. Standard collet nut wrenches as well. Machine coolant filtration systems to fit every need and budget. Coolant/lubricant hoses and nozzles in 1/4" & 1/2" sizes. Router table pods in 1-3/4" and 3" diameter available from 1" to 3" high. Huot CNC Tool dispensers and Tool Scoots keep your valuable CNC Tool and accessories safe and easily accessible.